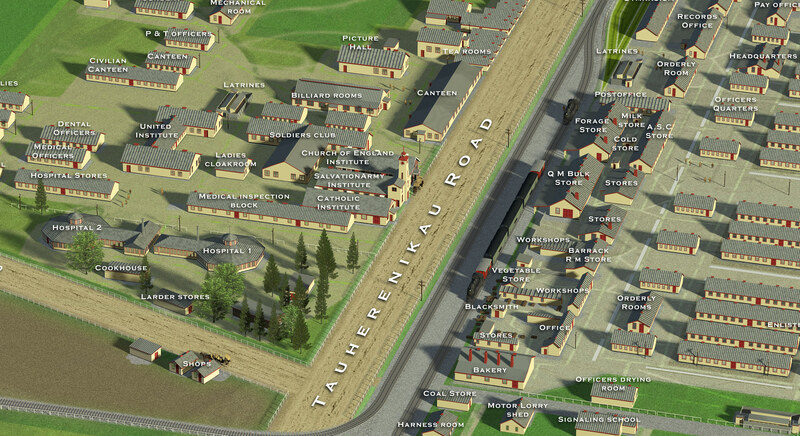 A poster created from a 3d model built of the Featherston Military Camp circa 1917. The 3d model was also used to create an animation showing the scope of the Camp. Created for Aratoi gallery masterton's exhibition on the subject.